More than just corporate style and function. Designing bespoke medical surgery furniture for a medical centre is about considerably more than just corporate style and function. Many of the health professionals we work with come to us with a vision in mind and a clear idea of the type of environment they want for their patients. 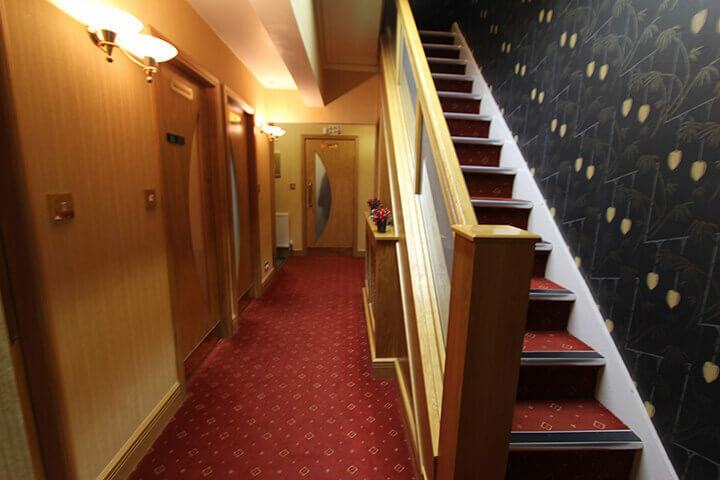 We can create commissions for all areas of your business – from welcoming reception areas to solutions which create a harmonious design throughout your premises. Alongside cabinetry and bespoke joinery, we can additionally create surfaces which are in keeping with the style you want, yet offer the hygienic properties you need in a surgical environment. Naturally, all solutions are designed around your medical equipment and allow for storage and integration where necessary. Call 0161 643 4054 and view our medical surgery furniture gallery below for inspiration. 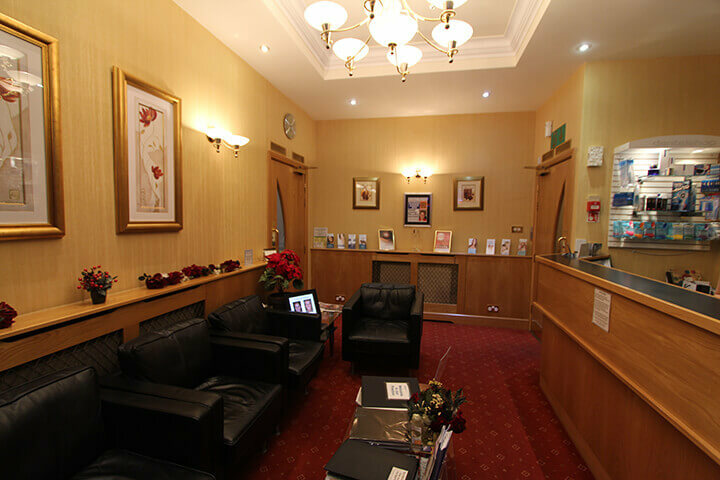 The Waterside Dental Surgery is a wonderful example of a dentistry practice which aims to put patients at complete ease. The objective was to create a space which would instantly relax the patient and make them feel at home in an environment which can evoke nervousness. 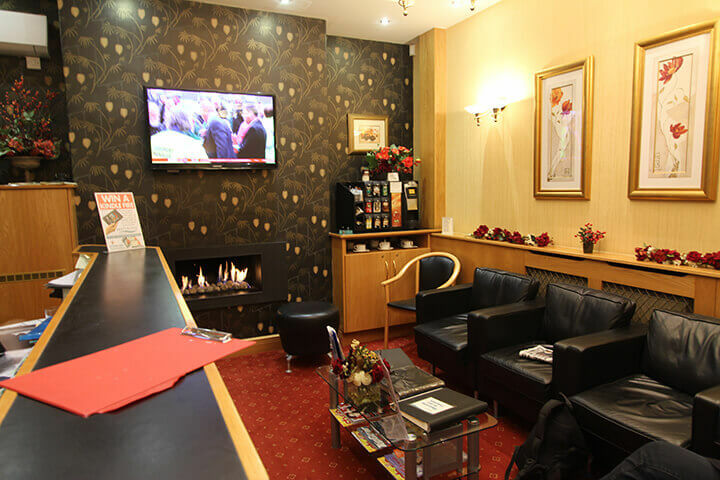 The main waiting and reception area was designed to offer the comfort associated with a living room, with soft furnishings, a roaring fire and small beverage catering station making the space professional yet not overly clinical. 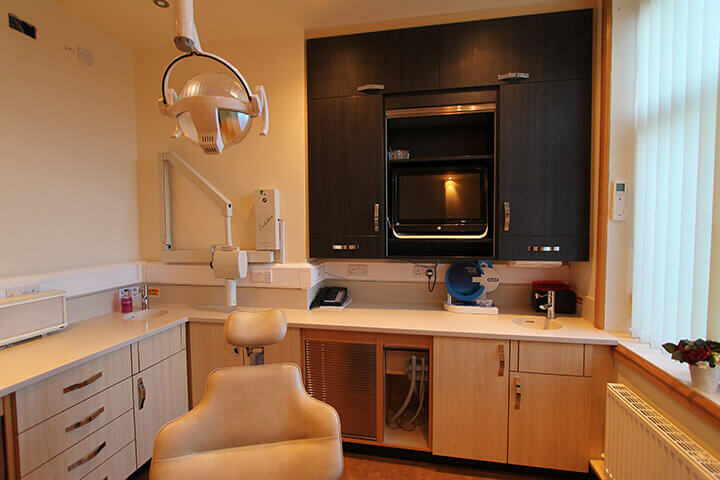 The dental surgery was transformed with inlaid mazer birch cabinetry with birch framing. Aside from the main storage and working areas, solutions were also created in order to conceal the air conditioning unit and incorporate the client’s surgical equipment. To continue the relaxed theme from the waiting and reception area, the client commissioned beautiful ceiling paintings to relax the patients while they’re sat in the dental chair. Renowned mural artist Walter Kershaw painted the scenes, which feature colourful birds, blue skies and floating hot air balloons. 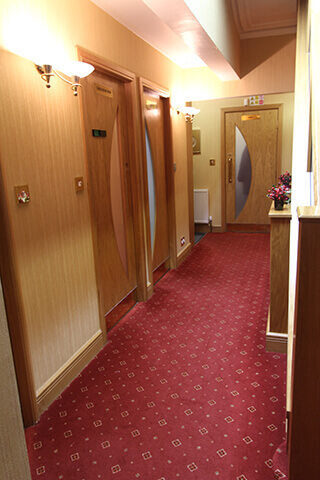 Lomax Interiors additionally created contemporary designs for other surgery rooms in the practice. Dr. Coates also received the National Patient Care Award at the Dental Awards 2014.